A Dash of Compassion » Julie’s creamy spinach florentine + a Blendtec giveaway! Today I’m going to talk about a new cookbook that has been getting a fair amount of attention lately—one that’s just in time for fall and winter gatherings with a slew of comforting meals in the form of Vegan Casseroles. 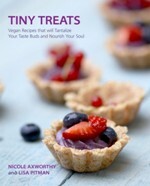 If you’re in tune with the vegan scene, you’ll likely recognize the author’s name and want to buy this book immediately. In case you don’t know, Julie Hasson is the beautiful and talented powerwoman behind eight other cookbooks, a line of gluten-free and vegan baking mixes called Julie’s Original, the Internet cooking show Everyday Dish, the hip food cart Native Bowl in Portland, and the original Babycakes Bakery in LA. Yep, she does it all. 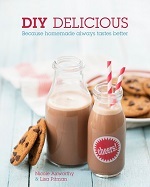 Julie took on quite a challenge with this cookbook topic, and for that I am truly impressed. You see, when people talk about traditional comfort food, it typically means using key ingredients that are off limits to health-conscious vegans. Recreating the flavours of eggplant parm, shepherd’s pie, and cheesy rice and broccoli casserole without the cheese, eggs, butter or even any of the processed vegan substitutes, for example, means Julie had to rethink the whole casserole concept and look at it with fresh eyes. 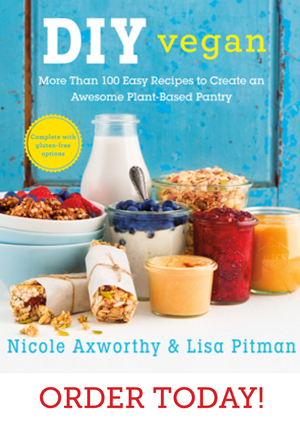 I love that her new book emphasizes whole food ingredients. 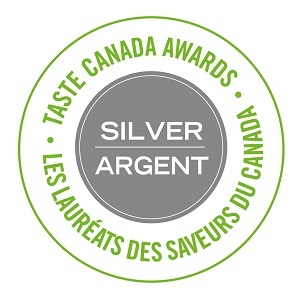 The resulting recipes are a mix of retro flavours—with a variety of cashew-based cheese sauces and a lighter cream of mushroom soup for that creamy goodness—and comforting, veggie-full dishes like cabbage rolls, stuffed swiss chard, and creamed greens. You can even invent your own casserole creations by pairing any of the super-simple sauces with your favourite veggies or pasta. So far, my favourite recipe in this book is the creamy spinach florentine on page 98. It makes use of the almost alfredo sauce from the sauces, toppings and basics chapter to create a creamy base for the pasta and spinach. In this recipe, the addition of Dijon mustard, sherry and fresh nutmeg add a lot of depth and warmth to the dish. I can see myself pouring the sauce over steamed broccoli and other veggies, too. If you’re not already excited about this book, I’ve got something else to share. Julie is inviting all ADC readers to enter a grand prize giveaway for a brand new BLENDTEC Designer 725 Blender! 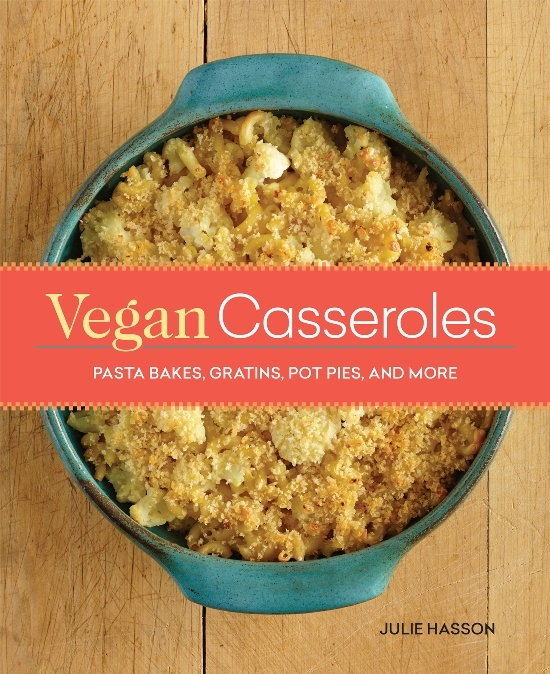 Five runners up will receive a copy of Vegan Casseroles. Please note the giveaway prizes can only be shipped to US mailing addresses. Use the Rafflecopter widget below to enter. Even if you don’t win, you’re still in luck because Julie was kind enough to allow me to share the florentine recipe from her book. Go make it now! And then buy the book to get more amazing casserole recipes. In the jar of a blender, combine the soymilk, water, cashews, nutritional yeast, oat flour, cornstarch, salt, and granulated onion. Blend the mixture at high speed until completely smooth and no bits of nuts remain. If you don’t have a big blender, blend the mixture in two batches. Transfer the mixture to a large saucepan and place over medium-high heat. Bring the sauce to a simmer, whisking continuously. Once the mixture comes to a simmer, reduce the heat slightly and cook, whisking continuously until thickened, about 5 to 10 minutes. Tip: Use a good-tasting unsweetened soymilk for this sauce, as the flavor really comes through. If you’re using a high-speed blender, you can skip the soaking step for the cashews and just use them dry. Add a little extra water to blend if needed. Preheat the oven to 400°F. Grease an 8-inch square glass or ceramic baking dish. Drain most of the liquid out of the spinach by gently squeezing it, but don’t squeeze it completely dry. Add the spinach to the pasta, along with the sauce, mixing until the pasta is thickly coated. Add the sherry, Dijon mustard, nutritional yeast, granulated onion, and nutmeg, stirring well. Add salt and pepper, and adjust seasonings to taste. Scoop the pasta mixture into the prepared baking dish. Bake for 20 to 30 minutes, or until hot and slightly bubbly around the edges. Remove from the oven and serve. To make gluten-free: Use a gluten-free oat flour in the sauce and gluten-free pasta (my favorite here is brown rice macaroni). Reprinted with permission from Vegan Casseroles © 2014 by Julie Hasson, Running Press. Amazing! I love spinach and casseroles. 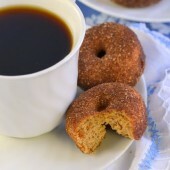 Do you think it would be ok to use plain almond milk instead of soy? 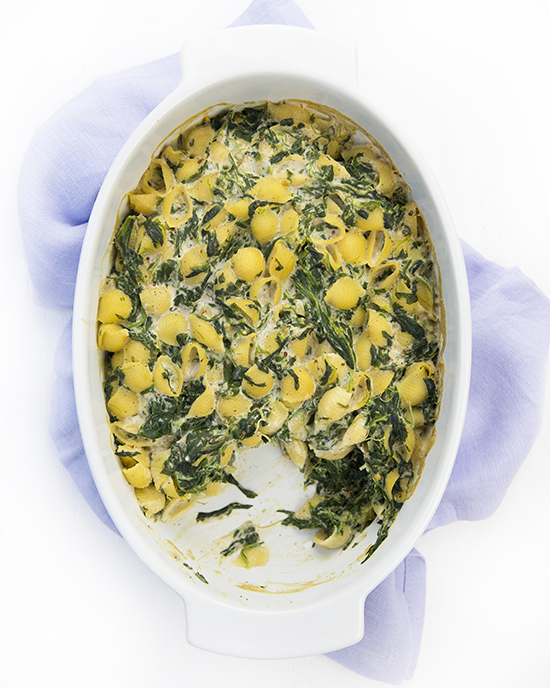 I would love to try this creamy spinach florentine casserole. I love spinach, and never tried something like this. Dessert casseroles! Especially one with bananas. Thanks for the giveaway! This looks delicious! Really hope I win the giveaway. Could totally use a Blendtec. i cannot wait to get my hands on this book! this recipe looks amazing. I’d roll with the Mac & Cheese Casserole! can’t get enough mac n cheese! I’m really looking forward to making the green bean casserole. That’s always been one of my Thanksgiving favorites. Thanks for hosting the giveaway! I think I will make the florentine casserole soon- what a great pantry friendly dish. I’m also really looking forward to the green bean casserole, thanksgiving style GBC plus rice has always been one of my favorite comfort foods. Yum! I can’t wait to try making this casserole! I can’t wait to try the Roasted Butternut Squash Casserole. Anything yummy with roasted veggies. The Spinach Florentine is the first casserole I would make from the book! Looks delicious!! I would love to win a Blendtec. I heard it is great and would certainly help in making these casseroles. 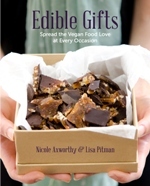 Looks like a great new cookbook, would love to win, thanks for the chance! I saw a post on this book yesterday. I’m pretty excited to get it. 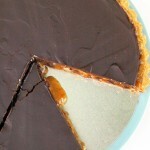 The Creamy Ppinach Florentine look yummy but so does the casserole on the cover! One pot dishes….creamy and delicious! 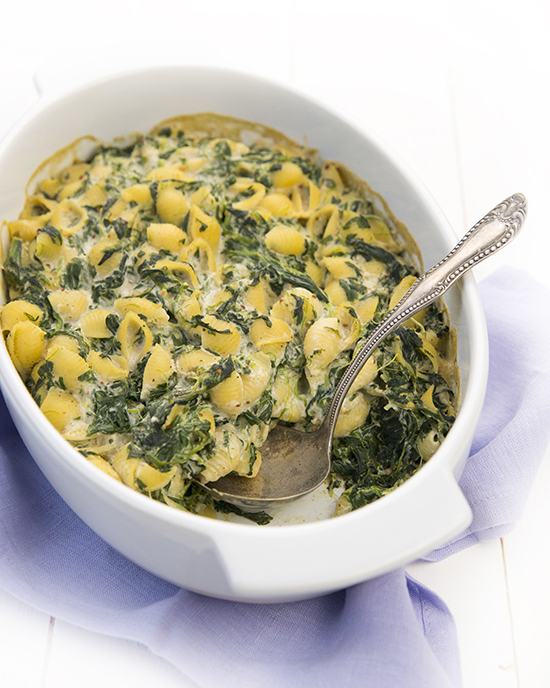 My daughter LOVES alfredo so I can’t wait to try this Creamy Spinach Florentine recipe! 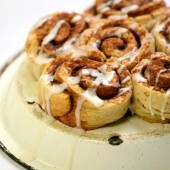 Dessert casseroles are calling my name!!! Would love to see those recipes. And maybe they would involve using the blender. I want to try the summer corn custard listed in book’s description. Sounds delicious! Dessert casseroles like the Rustic Bread Pudding! 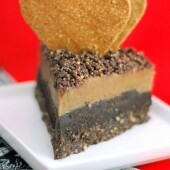 i would love to try a dessert casserole ive made tons of casseroles before but never made a dessert one! I can’t wait to try the zucchini casserole. ..but I might be waiting until next summer for ripe zucchini. That sounds delicious! Casseroles are the perfect meal for a cold, snowy day like today. I hope there are some nut free recipes so I can share these meals with my friends with allergies. The creamy spinach florentine looks absolutely delicious, but I’d love to the try the Cinnamon-Sugar Cheesecake Casserole. I’m curious to try the Eggplant Parm casserole recipe from the book as well as this Creamy Spinach Florentine. Thank you for the opportunity to win this Blendtec! The combination of the sauce, spinach and pasta looks perfect for lunches now that it’s getting cold, even here in “sunny California” I’ve seen several recipes from this book on different sites. If I don’t win a copy, I’ll just have to buy one. My favorite casserole has always been a Mediterranean spinach/feta/egg casserole which I obviously haven’t made in many years. I’ve been thinking cashew sauce and flax eggs lately although it sounds as if Julie’s already got me covered. So my favorite would have to be the creamy spinach florentine you’ve spotlighted today. It is crazy. I don’t have much in the house to make for dinner. I have been sick for about a week. And then the recipe for Creamy Spinach Florentine comes up. WOW! And I actually have all the ingredients. I think this is going o be a big plus towards getting the cookbook!! Yummy! I look forward to trying the pot pies. this looks amazing, I saw in the index a veggies and dumpling casserole, that sounds like just the thing for this cold weather, so that is probably the 1st one I would make! Casseroles <3 Discovered them recently and <3 them already!!! Dessert casseroles sound BRILLIANT. Can’t wait to try all of them! Wow this book looks amazing! Really good timing too since winter is casserole season. 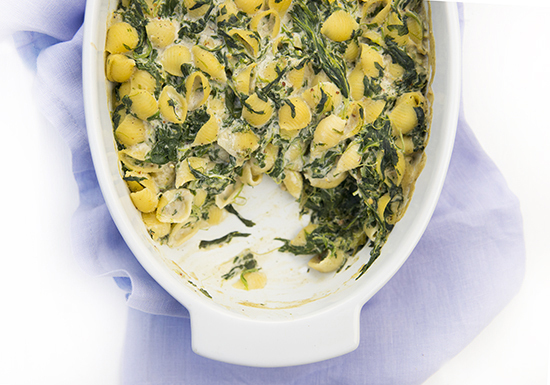 I’m looking forward to trying this spinach florentine casserole and ALL of the dessert casseroles! Just made this tonight and it’s amazing! I omitted the sherry because I didn’t have any and added a little bit more water to the sauce. Thanks for sharing this!!! I’m quite sure I would like to make a dessert casserole !!! All. Every single casserole in the book. The end. I’m all about the pot pies!! Awesome giveaway!! I love the Blendtec blender! I want to try the Dessert casseroles. I would love to try a dessert casserole!